Solid and stable describes this perfect home and neighborhood! Sitting on an oversized lot, you are welcomed with a charming paver walkway and terracotta tiled covered front porch. Beautiful, original wood floors in the foyer and throughout most of the home (under carpet) adds to the charm. All the gathering rooms are spacious, from the large kitchen big enough to easily accommodate a table for 8 to the 22x25 family room with fireplace and built in shelving. Original crown molding, plenty of windows bringing in lots of natural light and a floor plan for easy entertaining! Electrical panel has been updated and 1 AC unit is 2012. Oversized garage with workshop and plumbing for a half bath along with ample storage. Enjoy the tranquility of the back yard and pool which is sure to please the one with the green thumb! Elementary and Middle School zoned this year for the brand-new K-8 Audubon school! This home has been well loved by one owner for over 50 years and meticulously maintained. Rose Isle is a highly desirable and established neighborhood and is a prime location due to the close proximity to downtown Orlando, downtown Winter Park, Florida Hospital, Mills Park Trail, Orlando Science Center, Mead Gardens and easy access to I4! Don't pass on this home - you won't be disappointed! Lot Size: 0.38 Acres / 16350 Sq. Ft. Directions:From Winter Park head south on 17-92. Left on Lake Shore Drive, left on Shrewsbury. First home on the right. SchoolsClick map icons below to view information for schools near 2415 Shrewsbury Road Orlando, FL 32803. MFRMLS data last updated at April 23, 2019 9:47:27 AM PST. 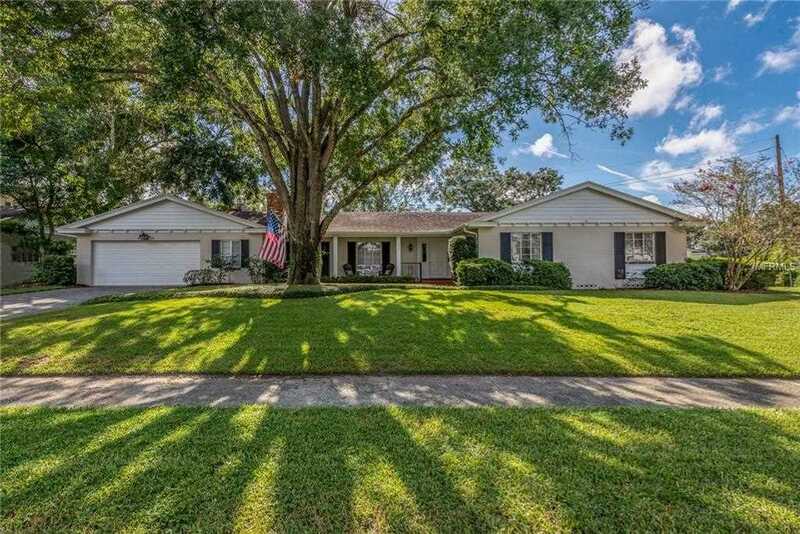 Home for sale at 2415 Shrewsbury Road Orlando, FL 32803. Description: The home at 2415 Shrewsbury Road Orlando, FL 32803 with the MLS Number O5730834 is currently listed at $570,000 and has been on the Orlando market for 232 days. You are viewing the MLS property details of the home for sale at 2415 Shrewsbury Road Orlando, FL 32803, which is located in the Rose Isle Sec 08 subdivision, includes 4 bedrooms and 2 bathrooms, and has approximately 2714 sq.ft. of living area.